These bookcases are mounted on track to fold in the middle and reveal a secret passage. 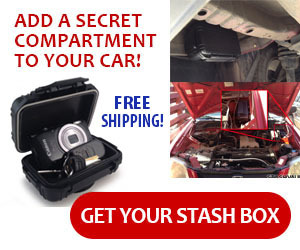 Do you have a need for secure storage in your car or truck? © 2019 StashVault. All Rights Reserved.